Lots of people don’t have college degrees. 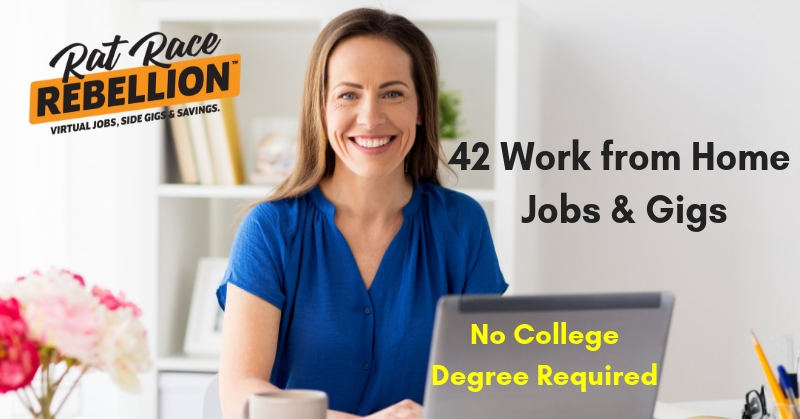 And many work from home jobs and side gigs don’t require them. Here are 42 open now. Some are part-time or work-when-you-want, and others are full-time. For more jobs like these, check our Newest Jobs & Gigs page. To be the first to hear about jobs like these, like our Facebook page. Good luck in your applications and interviews!